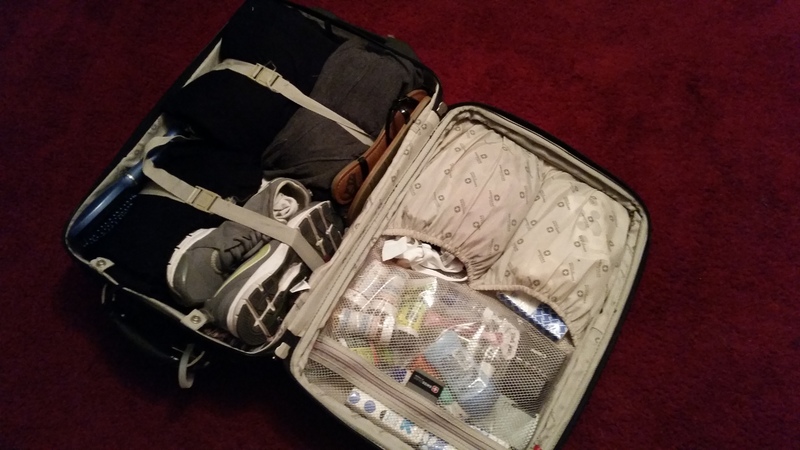 Girl’s Guide to Packing for your India Vacation! Posted on October 29, 2014 by Akashic Love & Light! My friend and I booked the trip of a lifetime a guided tour to Delhi, Jaipur and Agra, with an independent side trip to Varanasi. After finalizing all the travel plans, I realized there are some details we really needed to think about like what to wear and pack. I read through a variety of blogs and travel sites detailing different opinions on what women should wear, some advice more conservative than others. I decided to go more middle of the road and once in India found I had clearly made the right choices! Here are some tips on what to pack for your first trip to India. 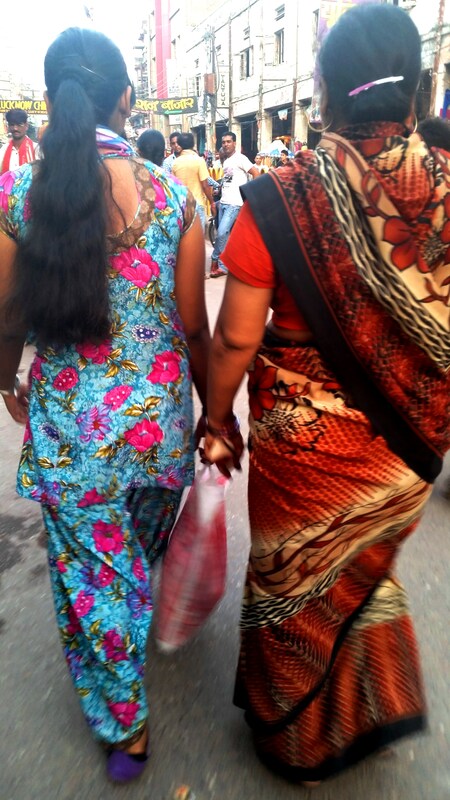 The main question most women have is what is appropriate wear in India? India is a very conservative country, dressing provocatively or too revealing is frowned upon. Rural areas and smaller cities seemed to be more conservative than bigger cities like Delhi and Jaipur. For clothes, I highly suggest to err on the side of caution. A good rule is to make sure your knees and shoulders are covered and don’t wear anything too tight. Especially if you are visiting rural areas or smaller cities- dress conservatively. I am embarrassed to admit I was surprised that almost all women were wearing a salwar kameez or a sari, and very few were wearing western-style clothes. The salwar is a loose pajama type pants and the kameez is the tunic top, while the Sari is like an Indian dress that you have to wrap. Both styles of clothing are so beautiful and come in a variety of bright colors and styles. I wish I could wear these colorful outfits every day! Even though we were dressed conservatively it was still obvious that we were tourists. We even had a few different men politely ask if they could take photos with us. Most likely a good part of your day will be spent visiting tourist spots so bring some casual pants or outfits. A lot of women tourists wear light-weight linen-type loose pants. It is not appropriate for women to wear yoga pants or leggings without a long top or tunic over it. Wearing just leggings would look like you are wearing underclothing and also they would be too tight. I love the new harem-style pants, currently out that are tight at the bottom and loose everywhere else. These are appropriate and comfortable to wear during the day. One of the most versatile items I packed was a lightweight pair of hiking pants from Columbia. They dried fast, were super comfortable and didn’t wrinkle in my luggage. One exception would be if you were staying at a yoga retreat you could get away with yoga outfits. I did not see any women wearing shorts either, I didn’t see any men wearing shorts either. Another question is what to wear at the hotel pool. The pool was pretty empty where we were staying but I think a one piece bathing suit is a reasonable garment to wear. I do want to visit Goa and other beaches in India on my next trip so I will have to research this further. 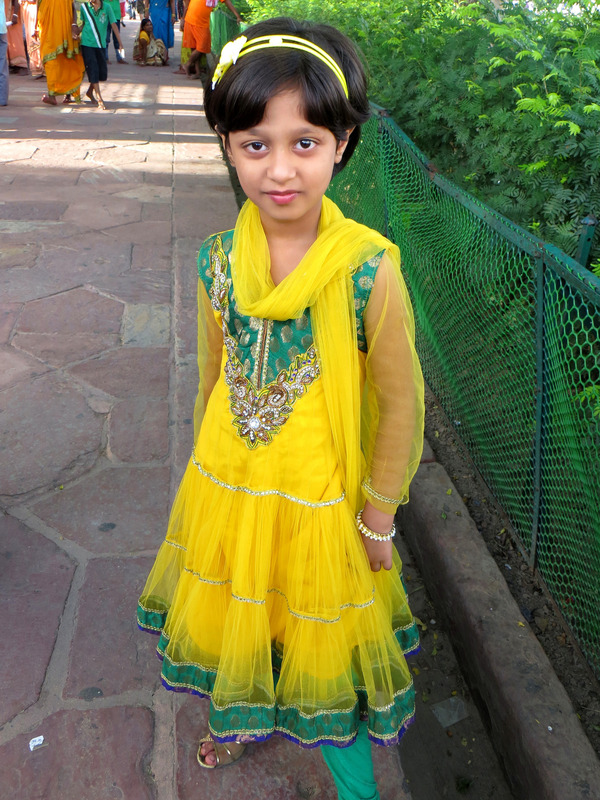 Super Cute Girl at the Taj Majal! Luckily long skirts and maxi dresses are in this year! I ended up wearing both for the majority of the tour. These can be dressed up for nighttime or down for casual touring during the day. Because it is suggested that you cover up your shoulders, I do not suggest maxi dresses that have skinny straps or that are strapless. A sweater or cover-up sounds like a practical solution except that it is very hot in India. The temperatures range anywhere from 90’s to 105 during the tourist season. For the most part I wore short sleeve tops but I did bring a couple of chunky strap tank tops, more like sleeveless tops and wore them only twice. You definitely do not need a sweater during the hotter months. It was 100 degrees and sunny every day we were there in September. Instead of a sweater, a better solution is a light weight gauzy cover-up. One fashion mistake I made was bringing a black skirt that had two long slits up the side. By day 5 I was starting to wonder if anyone cares or even notices what I am wearing, so I wore my H & M skirt with the slits on a detour to a small village outside of Jaipur, a woman pointed out the slits and motioned with her hand that they should be sewn together. It was more in a teasing tone as opposed to judgmental but still, I made sure to dress appropriately for the rest of the trip after the public shaming. Don’t forget to pack a light-weight but versatile scarf to cover your shoulders if you wearing a tank top or if you are visiting a temple or a mosque. You probably will not need to cover your head but the scarf will come in handy if you are taking a rickshaw or walking around a lot as it can get quite dusty and hot. Shoes –everyone wears flip flops or sandals. Even at night unless you are going to a club dressy sandals or even casual ones were appropriate with dresses. A few key factors to consider are temperature, culture, length of vacation and itinerary when packing for your trip. My friends from India suggested buying clothing when we got there, but before you rely on shopping abroad, I would review your itinerary to make sure you have time to do this. We arrived in Delhi late afternoon and after checking into the hotel and eating dinner, it was pretty late to venture out alone to purchase clothes. 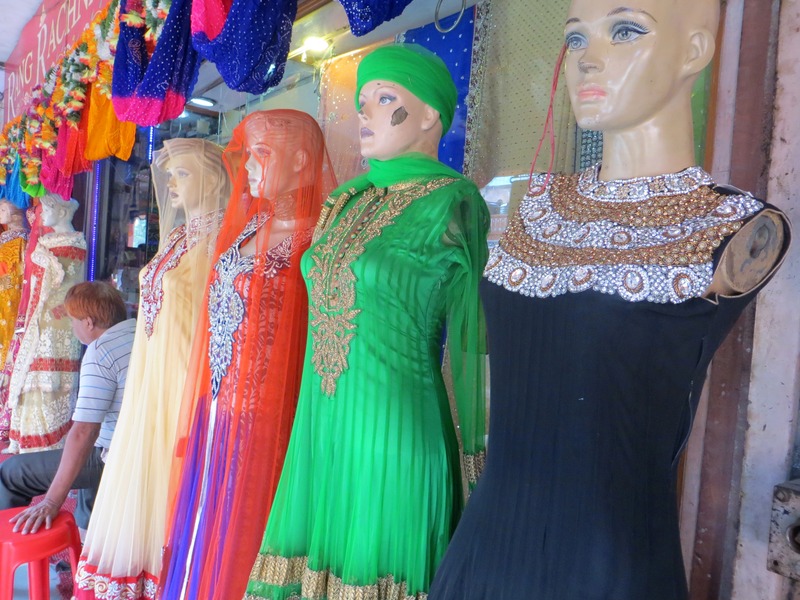 Overall, I was happy that I packed a mix or comfortable but stylish clothes; we didn’t have time to shop until about day 4, which is when we did get a chance to buy some scarves and even a Sari. 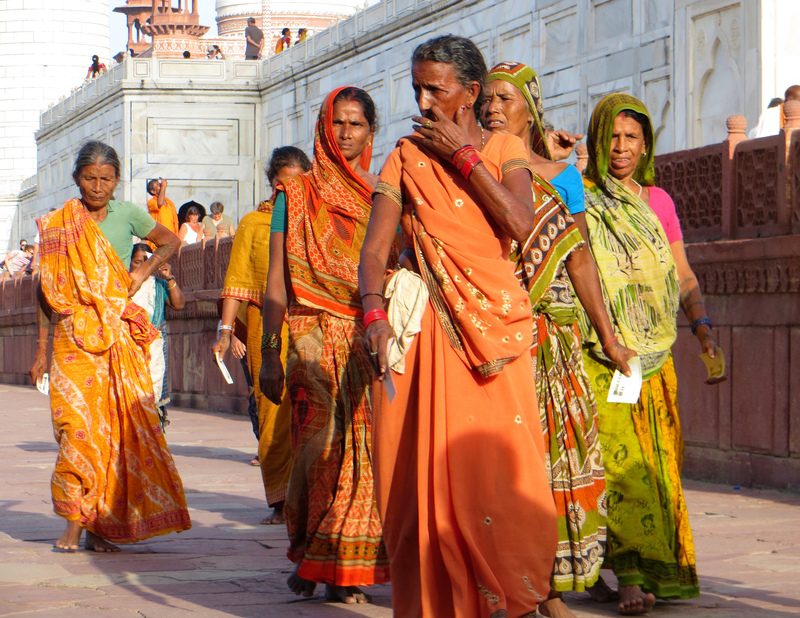 With some careful planning and packing your trip to India should be as amazing as ours! This entry was posted in asia, photography and tagged asia, clothing, fashion, india, travel, vacation, what to pack for india, what to pack for the Taj mahal, what to wear in varanassi, womans packing tips. Bookmark the permalink.